There are many reasons people may combine Moving and storage. 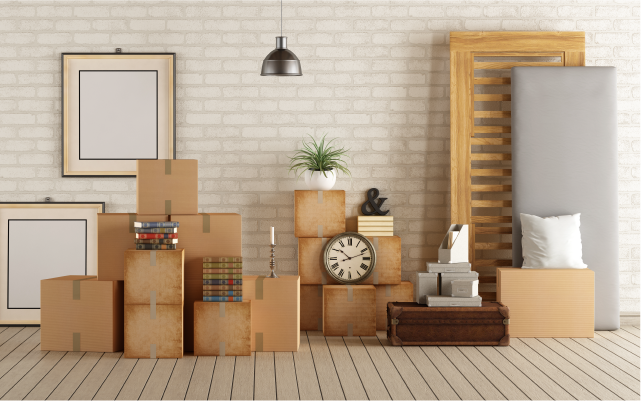 Whether it’s just for a few weeks while you wait to close on a new house or for several months while you remodel the home you’re moving into, it’s common to store belongings at some point during a move. While we do have packing tips that ensure belongings arrive safely through transit, putting everything in storage requires a little extra care. Start with clean, dry items. Remove any dust, debris or dirt and give everything plenty of time to dry before packing. Apply furniture polish to wooden furniture to add an extra layer of protection (contact manufacturer to determine the type of polish to use if you’re not aware). Use sturdy moving boxes. Keep the weight of boxes under 40 lbs. to keep them easy to lift and to prevent them from crushing boxes underneath when stacked. Wrap everything in packing paper or paper padding — it adds a layer of protection against the elements. Read more about using paper padding and packing paper for moving. Label boxes well. Since items will be in storage, you may forget which box goes where as you unload. Tape boxes thoroughly. Use multiple layers of packing tape to ensure boxes stay closed during the duration of storage. For things like linens and clothing, you want to keep them from being affected by moisture by giving them room to breathe. Place hanging clothes in wardrobe boxes to keep them in good condition and allow airflow. Vacuum seal other fabric items if possible. If not, add moisture absorbing packets to the boxes to prevent mildew growth. Place moisture absorbers in drawers or cabinets. Wrap each piece in paper padding (avoid plastic wrap on wooden furniture since it can trap moisture). Use tape to keep the paper padding in place by taping the paper padding to itself. Be careful not to apply tape to the furniture because it could damage the finish. Label the piece by writing on the paper. Use an antimicrobial fabric cleaner, then vacuum the couch well to make sure it is clean and dry (you can test the cleaner on a discreet spot to test for colorfastness). Remove the feet, if possible, wrap them in packing paper and place in a box with the hardware. Completely wrap the sofa in paper padding or moving blankets. Don’t use sofa covers or stretch wrap on sofas for storage, as they can trap moisture. Make sure metal or plastic furniture, appliances, electronics, etc., are clean and dry and completely wrap the item in Paper Padding. If you can place the items in a box, fill the box with crushed packing paper to reinforce it. If you’re storing your shipment in the moving equipment, loading is really no different than what you’d do for moving, other than doing a couple of things to encourage air flow. Start by placing plastic sheeting or a tarp down on the bottom of the equipment. Load items with heavier boxes on the bottom, and place labels where they can easily be seen when unloading. Stack items “high and tight” to maximize space. Tie down the load as you go. If possible, lift larger furniture off the floor by using pallets. Place furniture on end, when possible, to conserve space and prevent damage. A couch placed on end will normally fare better than a couch with heavy items stacked on top — the items stacked could damage the cushions. Place another tarp or more plastic sheeting on top of the shipment to prevent dust from settling. If you have questions about how to use U-Pack to store your belongings in conjunction with a long-distance move, let us know. You can get a free moving and storage quote online, or call us at 800-413-4799 to learn more.